With the Mercury Prize fast approaching, it’s time to pick a side. There can be no room for fence-sitting or shoulder shrugging, because for people who for some reason care an inordinate amount about literally any award ceremony (me), this is serious business. Jack has already explained why he thinks The Big Moon deserves to scoop the prize, and I’ve already pontificated on why Ed Sheeran definitely doesn’t, but I want to weigh in some more, because I could literally bore people to tears talking about the Mercury Prize. In my eyes, the winner this year has to be Kate Tempest. After criminally losing out in 2014, 2017 should be her year. Her album Let Them Eat Chaos is not only an example of talent at its rawest, but it’s also a timely, important record that encapsulates the rocky and uncertain times we live in. On her brutalist second album, Tempest uses London as a setting that plays host to the record’s existential questions. But while on the surface the album, and indeed Tempest herself, is deeply rooted in the culture, geography and atmosphere of the city, this is an album that is much bigger than London itself. As we find on the churning ‘Europe Is Lost’, these are topics with global significance. But that isn’t to say London isn’t written into the fabric of Let Them Eat Chaos. The album buzzes with a frantic energy that channels the city’s restless spirit. You can hear it in the industrial minimalism, the pulsing, jittering beats, in the daunting hum of the production and, of course, in Tempest’s colloquial cockney patter. It’s no coincidence that Tempest set her album in London, and it serves as the perfect backdrop to the many overlapping themes she brings to the surface. And it’s difficult to overstate how many issues Tempest grapples with here. What’s most impressive, though, is her ability to make the humongous seem so trivial. In ‘Perfect Coffee’, gentrification is presented as an elegy to a revamped club scene while ‘Ketamine For Breakfast’ lays bare the affordable housing crisis through a portrayal of a former wayward teen, now grown up, shivering in their worn-out, not fit for purpose flat. Tempest uses a host of characters as springboards to discuss wider social issues from climate change to political corruption, zooming in on the minutiae of life before suddenly pulling back and considering the wider, socio-political consequences at hand. Through all Tempest’s verses, what is striking is the sense of prevailing empathy. Tempest sticks by her characters through the dizzy highs (‘Whoops’) and terrible comedowns (‘Pictures On A Screen’). Her concerns are for the people at the bottom, forgotten or discarded by society, from alcoholics to refugees. This is an album that serves as a horrific mirror to our modern society that promotes prosperity over feeling, encouraging upward social mobility at the cost of absolutely everything. Tempest is unfiltered in her critiques of western capitalism, aligning herself with a generation struggling to get by, plagued by debt and pitiful job prospects. On Let Them Eat Chaos, Tempest drags us through the bleak underbelly of modern city life, forcing us not only to look at it, but to feel something. In ‘Breaks’, the album’s penultimate track, her characters are united by a rainstorm that brings them out of their flats and onto the streets. Shocked out of their isolation, they finally meet. It is only by erasing the distance between us, Tempest suggests, that we can make the world a better place. And this is the intent of Let Them Eat Chaos. On ‘Tunnel Vision’, Tempest pleads for her listeners to wake up and rebel against the status quo, against a media that force-feeds a nation a diet of hatred and a government that encourages it in order to disguise its own failings. Only when we unite and turn the tables can we create real change, Tempest insists, treating the powers-that-be to the chaos they have inflicted on the world for generations. 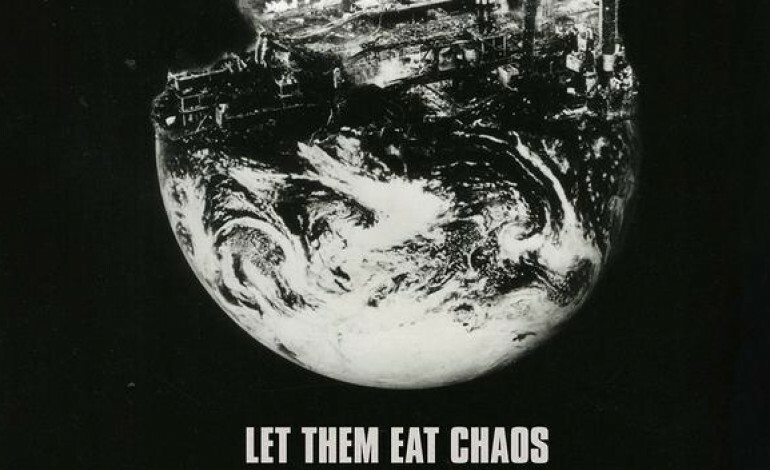 Let Them Eat Chaos is an accomplished, brave and uncompromising album that feels as vital as London itself. It overflows with anger and compassion, shuddering with a restlessness that feels like it may erupt at any moment. It’s poetic and damning, intimate but universal, frantic yet considered. It’s an album that is completely of its era, reflecting our modern obsessions and highlighting our ignorance. It’s an album that challenges and confronts, a record that’s as persuasive as it is purposeful and one that is undoubtedly worthy of this year’s Mercury Prize.